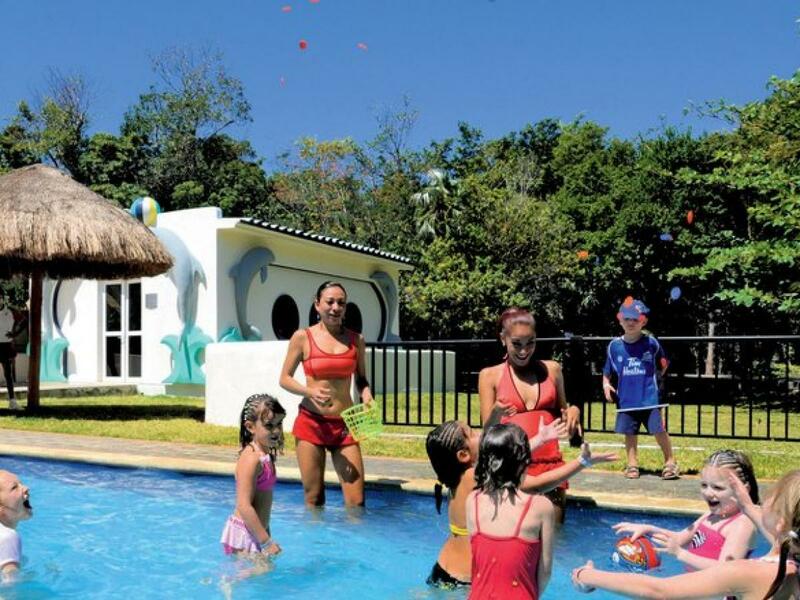 Family friendly resort that offers great vacation value, from live entertainment to an array of sports including non-motorized watersports. 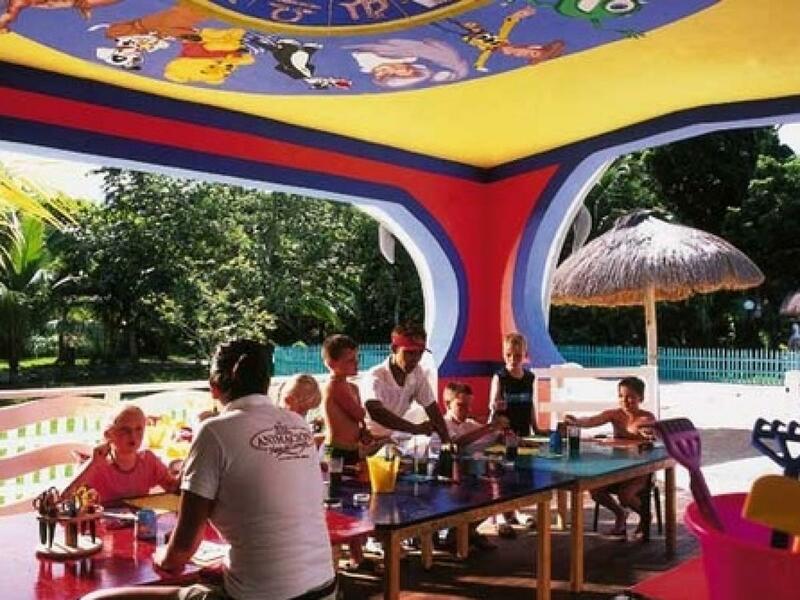 Kids will be entertained in the RiuLand Mini-Club and enjoy the playgrouwn and supervised actitvities. 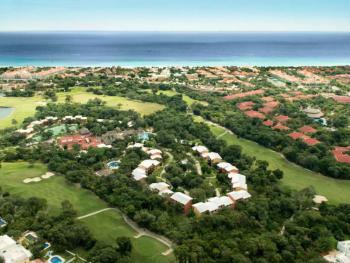 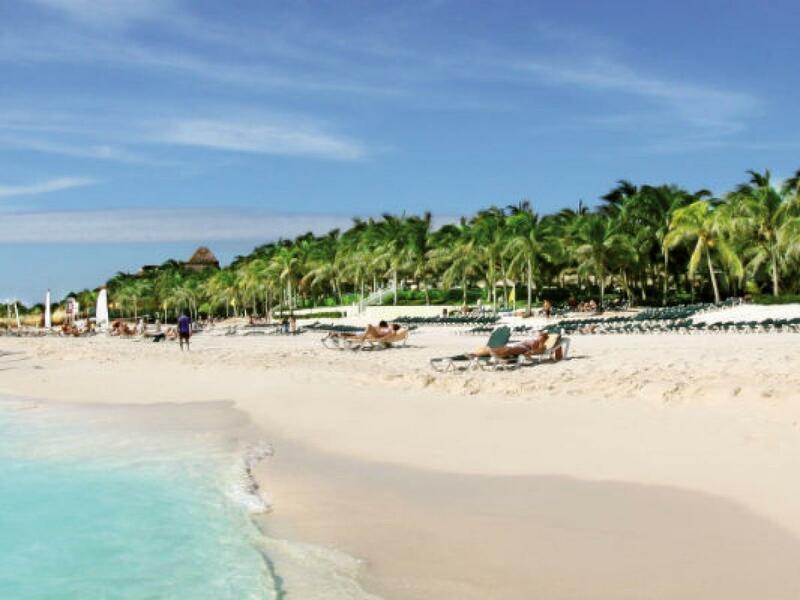 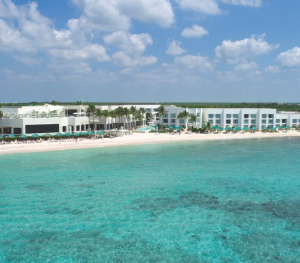 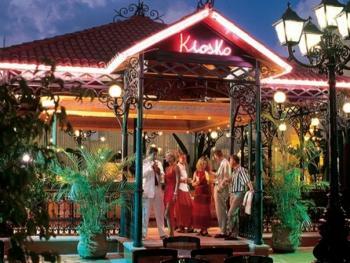 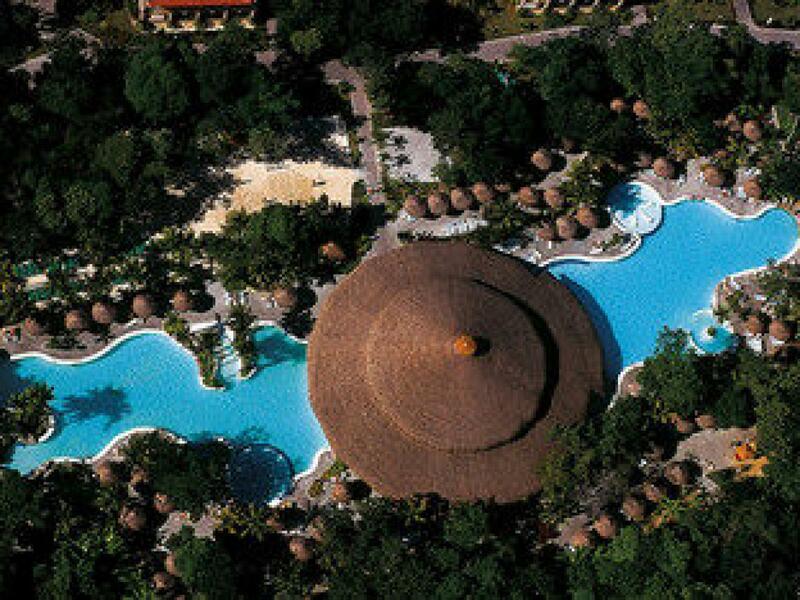 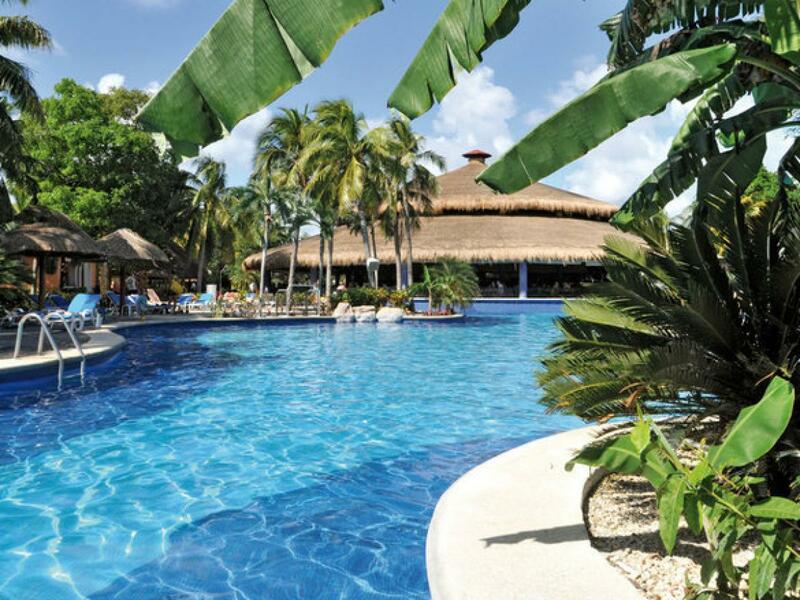 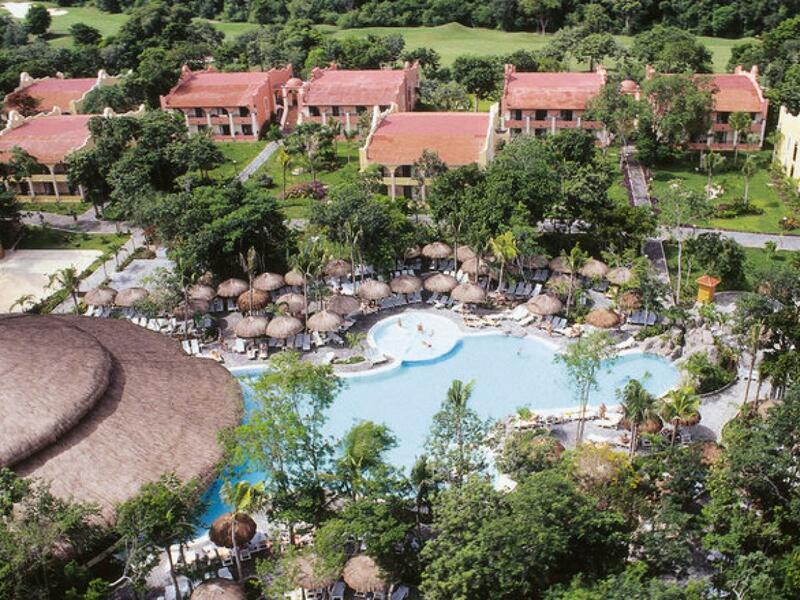 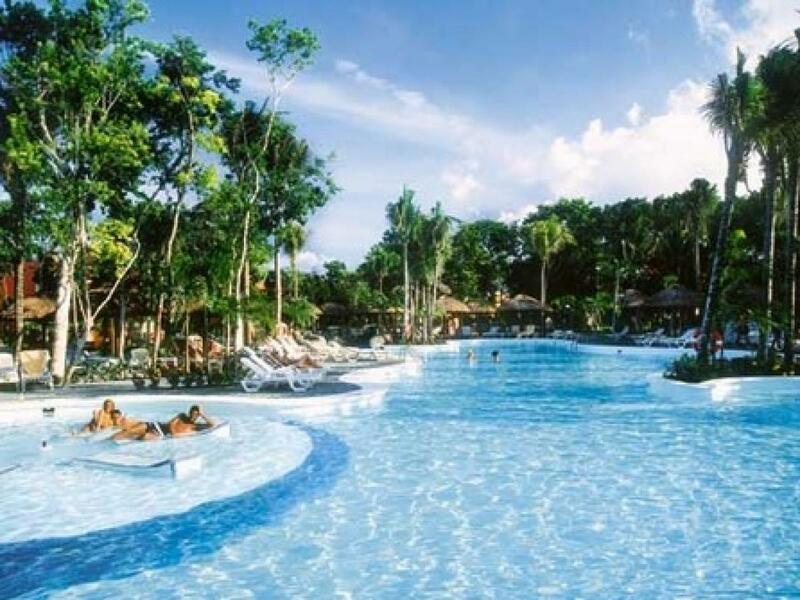 Riu Tequila was created with attention do decor, beautiful gardens, wonderful pool areas. 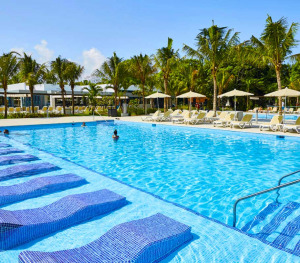 It is affordable and family friendly. 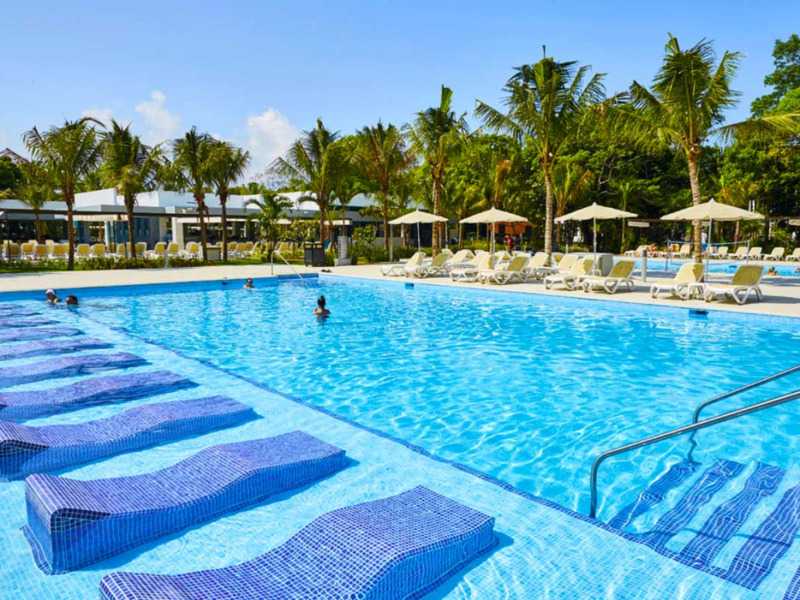 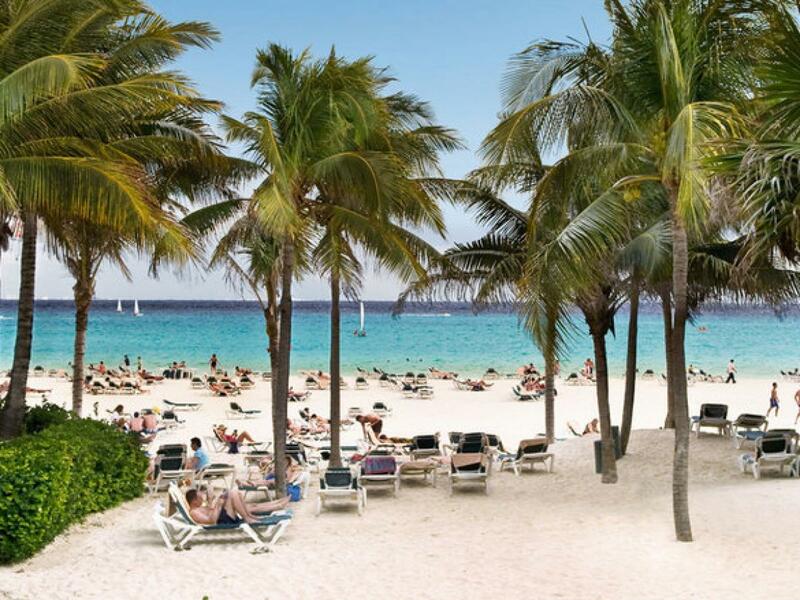 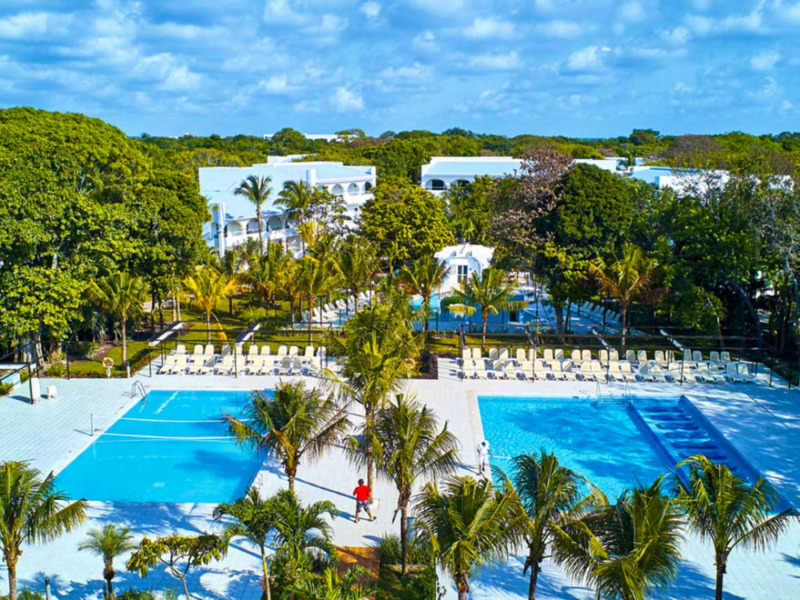 Located across the road from the Riu Yucatan and Riu Playacar, it shares exchange facilities so guests can also enjoy the non-stop enterntainment at two more RIU Resorts. Just a short distance from the beach, a trolley winds through gardens past a raised gazebo bar to the beach club. 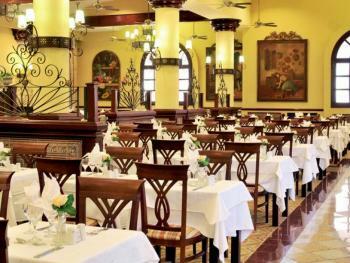 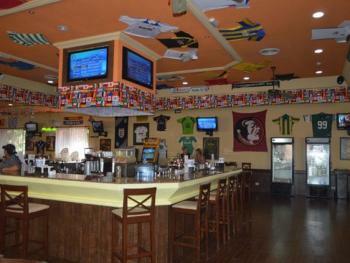 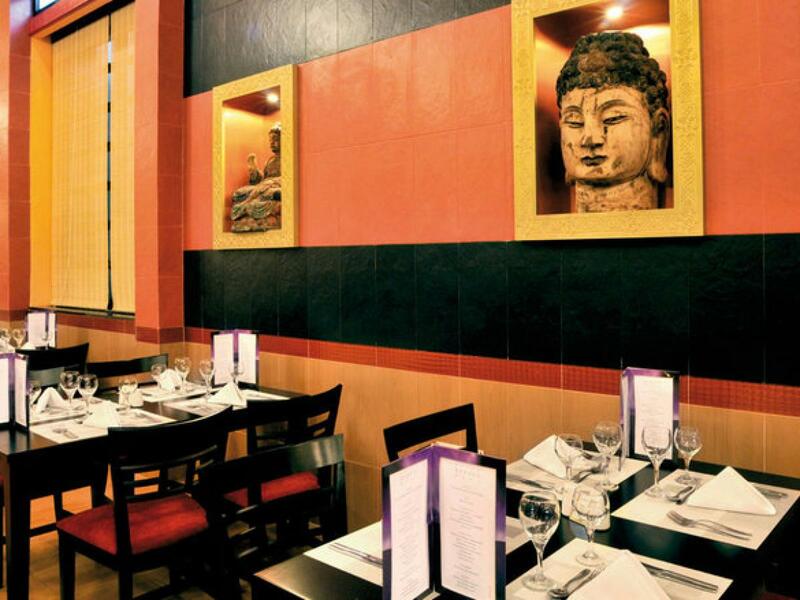 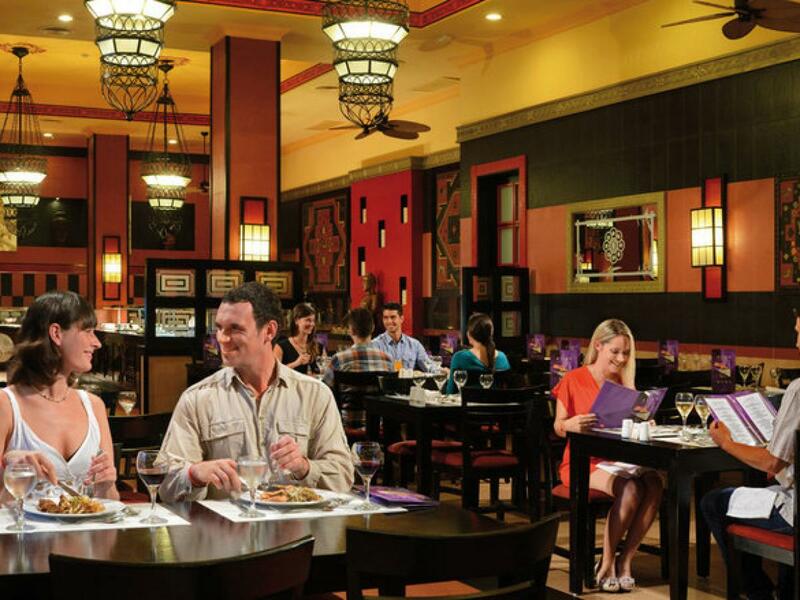 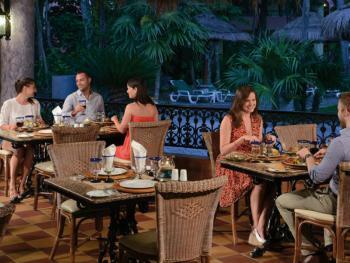 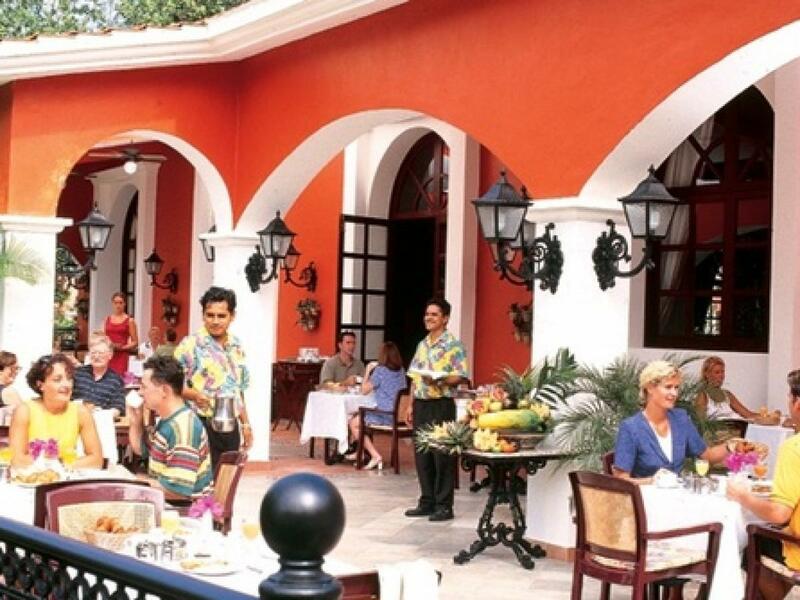 Old Mexico is featured throughout Riu Tequila. 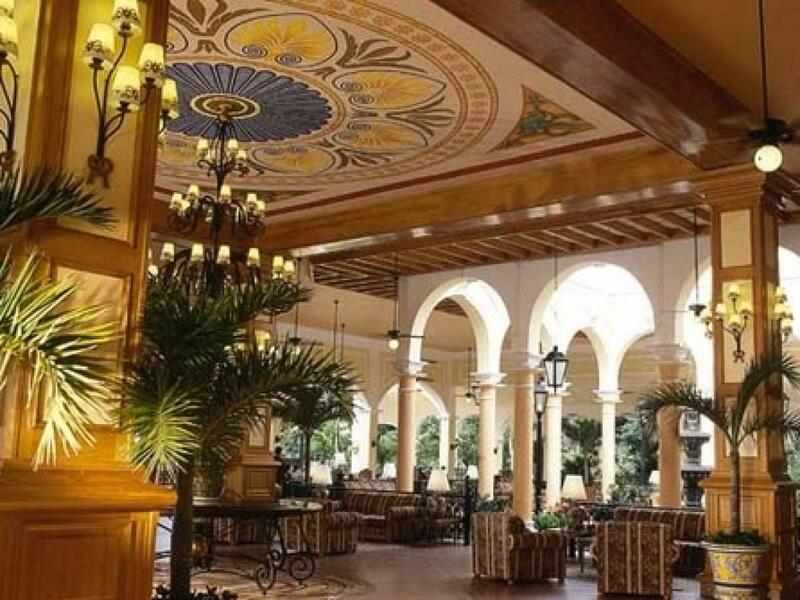 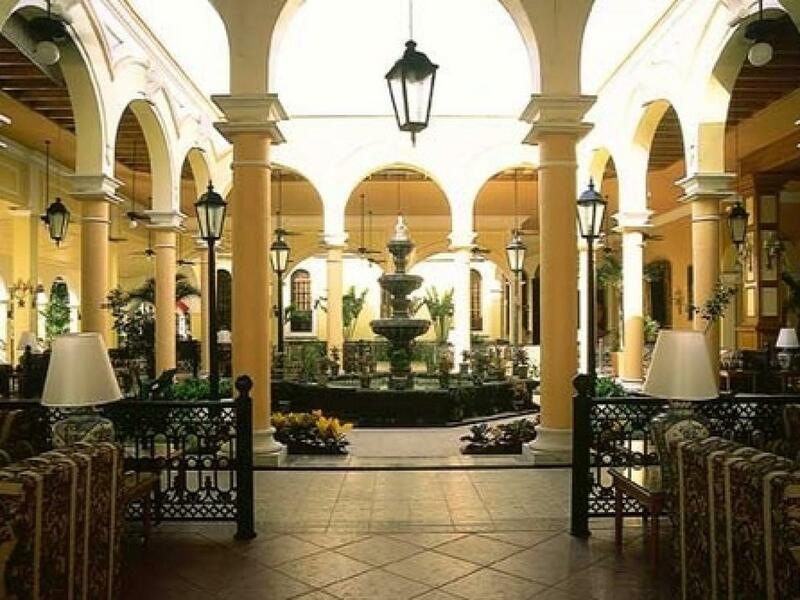 the lobby mimics a small village with grand pillars, arches, iron lanterns, and ceilings painted in swirls and decorated with mosaics. 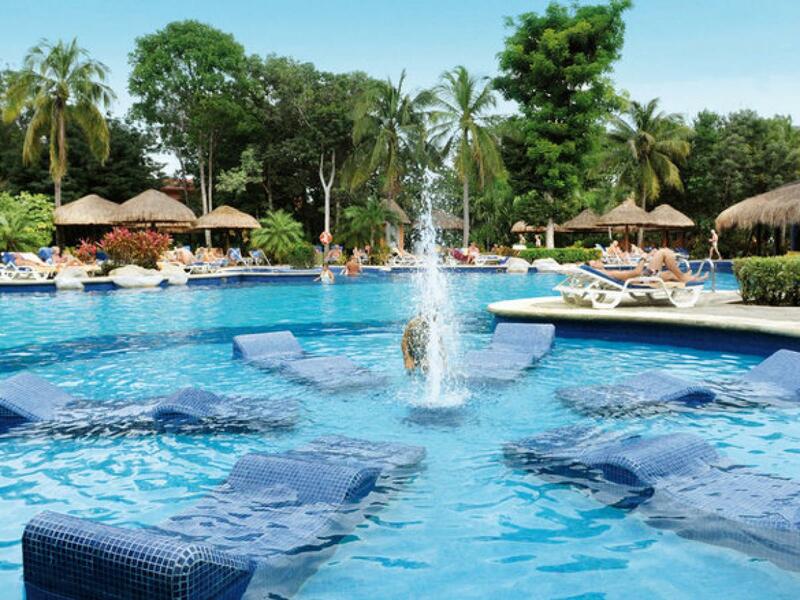 The pool area is Hawaiian-style with boulders and waterfalls. Great carved doors open to the main restaurant, Jalisco, in early Mexican style with international buffets. 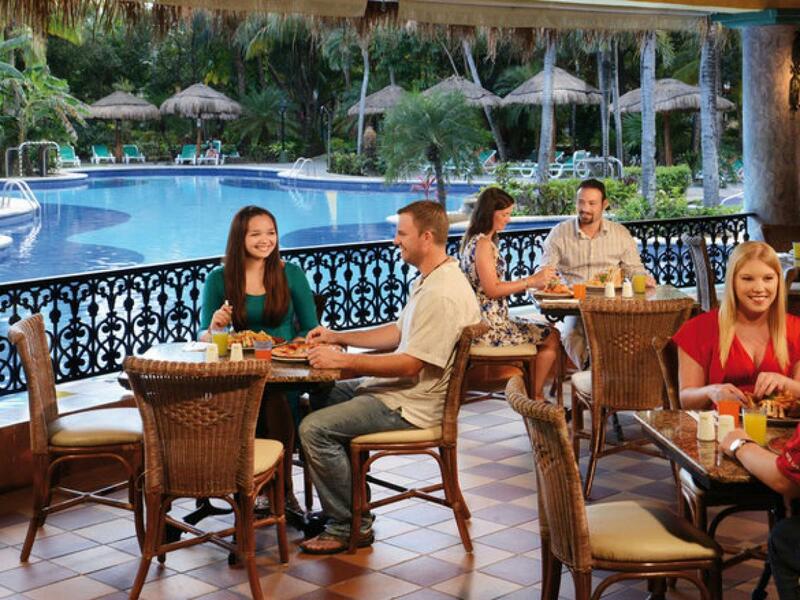 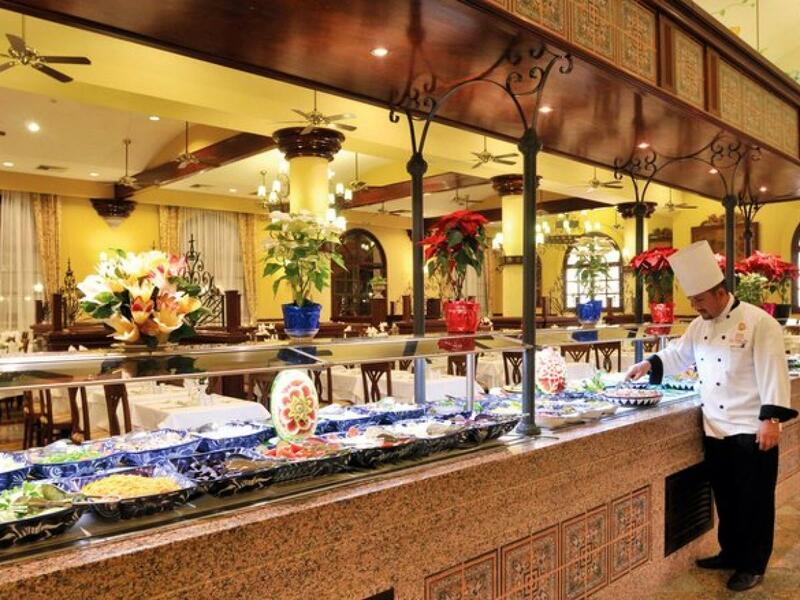 The Infomal Lupita Restaurant offers poolside snacks.